Photos via Pinterest and Coffee and Yoga. One of my goals for the new year is to increase flexibility in my spine. I imagine this is true for a lot of you yogis, too, so this post offers a few reminders about how to do healthy and safe backbends whether you're new to yoga or you've been on the mat for a while. One of the best things you can do as a beginner is to seek the guidance of a certified teacher. Yoga instructors with experience know how important it is to warm up the spine before attempting a deep backbend. During classes at a studio, you'll be able to engage in a smart series of postures to keep your spine safe, warming it up one vertebrae at a time. Ever notice how in Bikram classes, you don't do camel or rabbit pose until the end of class? And in a Hatha class, you wouldn't do full wheel pose until you've done a bridge pose or two, right? Sequencing asanas this way allows you to ease into your spine's full flexibility. Photo via Om Light Photography. Another important consideration, especially for deep backbends, is to utilize strength in other areas of your body -- namely, your core and legs. Look at the photo above, for example. When you're in full wheel, your arms, legs, and core are engaged fully so that your lower back doesn't have to take the burden of holding you up. Similarly, in camel pose (below), you push forward with your legs, hips and glutes so that your low back doesn't feel the full pressure of the upper half of the body bending over. Keep in mind, too, that your low back should feel long throughout the posture. Photo via Dudes Doing Yoga. Let the fear go. Remember that backbend postures stimulate your nervous system, sending you into a "fight or flight" response. It's normal to feel dizzy, energized, emotional, or otherwise stimulated during these poses. Begin to approach each backbend with curiosity and patience. Apply your yogic skill of observation and watch your energy as it moves during the pose. How do you feel after a backbend? Are you more awake and alert? Can you encourage yourself to try holding a pose for 10-15 seconds instead of 5? Remind yourself that you are opening your heart to greater compassion and deeper love by the simple act of bending back. Gradually work your way in using the breath, and try to allow yourself to enjoy the backbend. Before you know it, you'll be craving them on a daily basis. Photo via Michael Peter Carter on Tumblr. Above all else, remember to give it time. Flexibility of the spine doesn't happen overnight -- it is a lifelong process. We spend so much time hunched in front of a keyboard or car steering wheel that it can take a while to reverse our tendency toward experiencing forward folds... but gradually, with persistence, you will find yourself arching backward gracefully with little resistance. Want to learn more about backbends? Try this article from Yoga Journal, tips from another blogger, or Bikram's thoughts on how Bikram yoga can help heal back pain. Or learn more about how backbends open your heart. Photos in this post via Urban Yoga Girl, Lilie Zen Coach, Pinterest and Good Mood Food. One of my goals for 2012 is to eat better than I ever have before. I believe taking my yoga off the mat and into the kitchen will help me lead a healthier, happier life. and healthy drinks from the juicer/blender instead of sweets. Here are a few recipes via Good Mood Food (pictured above) to start out the year in a healthy, wholesome way. Keep an eye out for weekly posts featuring more wholesome recipes throughout the year, and please share your ideas in the comments below! Start by making the marinated vegetables. Spread out the zucchini and eggplant slices on a bbq, in a grill pan or in the oven, a couple of minutes on each side. Put them in a bowl, drizzle olive oil, garlic and salt over them and set aside. Cook the quinoa according to the package but add one tbsp cinnamon in the water. When it’s done cooking, rinse and set aside to cool off. Squeeze the juice from half a lemon and add five tbsp of olive oil into the quinoa. Chop half of the mint leaves, half of the cilantro and all the raisins, throw them in the quinoa and toss it around until everything is mixed. Serve in bowls together with the marinated vegetables, avocado, spring onions, the rest of the mint and cilantro and the roasted almonds. Throw all the ingredients in the blender. Blend it for half a minute. Enjoy! Alive in the Fire is an award-winning blog all about yoga, but we also love fashion, green goods, spa and massage, and creative companies with a passionate approach. Looking for a great deal on ad space for the month of January or February? Contact me at aliveinthefire at gmail dot com today! Prices are super affordable and you can get great above-the-fold coverage. Alive in the Fire's audience is an organic fit for those hoping to reach an active, hip, green, fashionable and largely female audience. The blog is a great fit for companies who sell yoga and fitness gear or apparel, healthy food or drink, and green goods. By becoming a sponsor with Alive in the Fire, you will reach a lively community of readers who love yoga and who care about taking good care of themselves, each other, and the world. For more info about the types of companies I've worked with in the past, see here. And for details on ad spots in 2012, email me at aliveinthefire at gmail dot com. Namaste! Photos via Urban Yoga Girl. Is Ballet the New Yoga? Back in high school, I used to dance. I think some of my love for yoga stems from that original desire to move freely, stretch deeply, and be present to the moment. The other day I read an article about how ballet studios could become as popular as yoga studios in 2012. What do you guys think? Would you try a dance class along with your usual yoga routine? PS More ballerinas here, here and here. XO! Watching videos like this is one of my favorite things to do. Effortless, graceful, fluid movements. Meditation in motion. Yoga is beautiful, don't you think? Merry Christmas Eve! I hope you are all celebrating with family, enjoying the festivities, and perhaps even lighting a candle or two for a relaxing yoga practice at home. My sister and I are going to host a family yoga class in the living room. I'm excited to try some asanas with my little nephew, parents-in-law and brothers-in-law. Yoga party time! Photos via Pinterest and Flickr. I am touched and honored to bring you a guest post today from Trevor Bradshaw, an aspiring writer, yoga nut, and brother to a cancer survivor. Trevor has a true passion for writing about the benefits of yoga for cancer patients, and his compassion inspires. Thanks, Trevor, for sharing your perspective and some healthy tips for those on the road to healing! Namaste. Yoga provides many benefits for quite a diverse assortment of physical issues from back pain to stress management. In an age when hospitals continue to become more specialized, the success that millions of people have had with yoga has prompted the medical community to take notice of its myriad health benefits. Today, most doctors, including the Mayo Clinic, have taken note of how a regular yoga practice can help benefit cancer patients. And while it’s clear that yoga by itself does not cure cancer, it has become well recognized for providing several important benefits to cancer patients. Yoga is extremely beneficial to cancer patients because it can offset many of the negative symptoms related to chemotherapy and radiation therapy. Cancer patients often must undergo these extremely debilitating treatments, causing them to suffer fatigue and nausea. A mild yoga program, however, helps to relieve nausea, which many patients’ find unbearable, and as well as helping to maintain patients’ energy. While many report still feeling fatigued, it is often to a much lesser degree if they are practicing yoga. New studies show that not only is yoga a great way to combat the side effects of chemotherapy and radiation therapy, but also a great tool in calming the nervous system. By combining different poses and breathing techniques yoga is used to help improve issues with sleep and reduce the dependency on sedatives as well as relieve muscle pains that are associated with deadly cancers like leukemia and mesothelioma. For many cancer patients, sleep deprivation causes additional emotional and physical breakdowns but yoga can help patients get a good sleep and feel better throughout the day. Yoga also has been proven to increase the number of red blood cells in the body. This is particularly important for cancer patients and regular yoga practice also increases the circulation of oxygen carrying blood cells throughout the body. Adequate oxygen supplies are of paramount in working to heal a cancerous body. The improved circulation and increased red blood cells from yoga help the body heal and keep the immune system in good working shape. Furthermore, a yoga practice does not have to be strenuous -- an added boon for fatigued cancer patients. Many patients already experience the many health benefits of a gentle yoga class, but there are still many who have yet to hear about its benefits. For cancer patients who are apprehensive about attending class at a studio, they have the option of practicing in the convenience of their own homes. If you know someone who is a cancer patient and new to yoga, tell them about the benefits and how simple it can be to start with a beginners program by taking a class or buying a DVD. For more reading about how yoga helps cancer patients, check out this post or read more by Trevor here. Or you can learn from a Bikram teacher who says yoga saved her life. You can also check out reflections on practicing with pain or learning to cultivate compassion with your yoga. Photos via Bikram Yoga Dallas and Contact Partner Yoga on Facebook. Have you guys tried partner yoga? I think there's something so inspiring about sharing your practice with someone you trust. At a silent meditation retreat I attended this year, we practiced a little bit of partner yoga at the end of the day. I was paired with my instructor (no pressure, eh?!) and actually found it one of the most relaxing, meditative parts of the day. When it's just you and one other person, your concentration must be focused, deliberate and calm. You must steady your breath and your body in order to coordinate movements together. 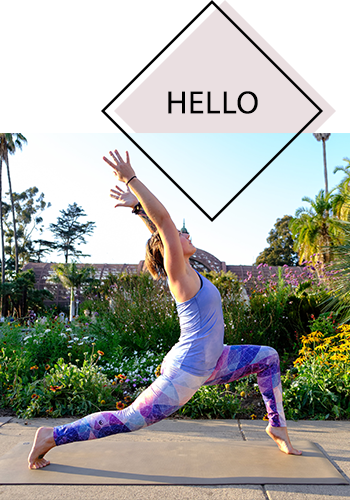 Even simple postures like tree pose become an introspective challenge, and deeper stretching postures can be intensified with the help of a partner. Would you practice partner yoga with a friend or lover? There's something so intimate about it (besides the physical contact) and you really are learning to communicate with each other in a non-verbal way. During the practice I experienced at the retreat, I found that it was a little awkward at first (especially during postures where we were staring straight at each other!) but eventually it became more comfortable practicing side by side. Ironically, if you let it, partner yoga can be a very self-reflexive practice. As you work together, you allow yourself to go farther inward and experience your inner world, your emotions, and your experience of intimacy. I think it would be great to plan a romantic partner yoga and dinner date, or even try to incorporate a partner yoga class with the whole family. How fun would it be to see moms and dads sharing yoga asanas with their kids?! Want to learn more? This book and this book both look pretty good, or you could try this video. I'd suggest searching for partner yoga classes in your local community -- you'll meet other awesome yogis and get a great practice in! Not a fan of partner yoga? Read this hilarious article from Salon for one reviewer's experience with a neighbor's sweaty thighs. Oh, dear! Have you guys ever heard of a yoga rave? I hadn't either, until I discovered this inspiring video from Lululemon, featuring a lot of dancing, stretching, sweating and glow-in-the-dark bracelets. Looks like a party to me! Let's be honest: sometimes the holidays can get the best of you. You may find yourself budgeting, shopping for gifts, planning special activities with friends, socializing at work, baking, meal planning, traveling, and wondering when you'll get a chance to sit back and relax. If you've felt yourself falling into a tailspin this holiday season, this post is for you. Yoga pose illustrations via Introspective Narwhal. Here are a few tips for holding tight to your sanity and peace throughout the holiday season. Set aside some time for yourself. This is the perfect time of year to really delve into your personal yoga practice! I recommend at least 20 minutes a day for restorative postures and heart openers. Consider this time on your mat a chance to put some compassion back into your frenzied body and mind. You could try the 12 Days of Yoga to start! We're all trying to do so much, and if we're not practicing our yoga, it's hard to do anything at all. Remember to put family first. The true spirit of Christmas isn't about the gifts you give; it's about creating lasting memories with your loved ones. You could always read your kids a fun Santa yoga book, or have a snowball fight and photo shoot with some friends. Minimalize, especially if you're traveling for the holidays. Place a few Amazon orders for your faraway friends and family, and opt for gift wrapping and a note inside the package. Or pack light and pick up heavy gifts once you arrive in your destination. Be smart with your funds. Set a limit for what you can afford to spend, and don't go above it. You'll be grateful (and stress free) once the new year hits. Get creative with your gifts! Write a poem, sing a song, take a photograph... or rely on whatever other crafty skills you've got. Treat yourself in a way that's healthy and happy. Limit the amount of sugary sweets you have each day so that you can enjoy that special cup of hot cocoa and cookie without feeling overstuffed. And be true to your expectations: if you decide there's a special day when you want to indulge, allow yourself the freedom to do so and don't beat yourself up about it afterward. Just schedule in a few extra workouts later; I recommend the Hot Room for sweating out any excess toxins! How can you best enjoy the holidays? Give, give, give. Give what you can, not what you think people want you to. Give gifts that have meaning. Skip the meaningless ones you know won't get much use. Give thanks. Give praise to those around you who are making a positive impact. Best of all, give your love. Namaste! All photos via Gaiam TV. I posted yesterday about my awesome experience so far with Gaiam TV and their wide selection of yoga videos, health videos, inspirational films and more. Today I'm excited to announce Gaiam TV has agreed to give one lucky Alive in the Fire reader a 3-month subscription! To enter, leave a comment below with which video from Gaiam TV you'd try first. Click any of the covers above for ideas on what to watch. For an extra entry, "like" Gaiam TV on Facebook and leave another comment here saying that you've added them. Open til Friday 12/23. Gaiam TV is the resource that beginners and yogis with a strong home practice have been waiting for. From yoga videos to fitness and workout videos, inspirational films and wellness videos, and many other health and wellness-related media, Gaiam TV has you covered. Their website is easy to navigate and they offer the chance to download videos to various devices so you can bring your yoga with you. Not to mention you can try their subscription totally free for 10 days before you sign up! And stay tuned: next week on Alive in the Fire, I'll be offering a giveaway for a 3-month trial of Gaiam TV. In today's consumer-driven world, we are used to having a lot of choices at our fingertips: on the web, at the grocery store, even on our Netflix accounts. But don't you ever get tired of having so many possibilities to pick from? Gaiam TV is the perfect solution: you've got lots of options, but they all fall within the health and wellness category you know you love. I recently tried out Gaiam TV and I couldn't have been more pleased with the results. I opted to try a few yoga videos in new styles to mix up my routine (Rodney Yee and Seane Corne, you rock), and then I got even more daring: I opted for the Jillian Michaels "Ripped in 30" workout. I'd heard about Jillian a few times from my twin sister, who is a personal trainer. She's used her high-energy, fat-burning routines for clients many times in the past and had great results. I mean, you can't really go wrong with a workout instructor who's been known to say, "Unless you puke, faint, or die, keep going!" Jillian Michaels does a wonderful job in her video "Ripped in 30," to give the average couch potato like you and me a good workout and place to start. I did her workout yesterday and was sweating myself even though I'm a personal trainer. Even if you can't do all the advanced moves, she gives you alternative modifications, which is very important when training clients. She has a very effective way of combining cardio movements with weight training using light dumbbells. I also use similar methods in my clients workouts because it produces the most fat burn. By combining more intensity in a shorter period of time, along with shunting blood to the upper and lower body (by a lot of getting up and down), a person can get a great cardio workout along with strength training at the same time; this allows for maximum fat burn! Jillian also allows people room to improve in the 30 days, which is great because as you get stronger, you can increase the difficulty of the exercises. Most people don't have an hour to spend working out a day, but this is a great time efficient way to get strong and lean. Thanks for sharing, Jillian. You continue to inspire me to new heights and give it my all! Pretty awesome, right? I may have to continue with the program and see what the results are like after a month of getting ripped! "Transformation is not a future event... it's a current activity." So whether you're completely new to yoga or establishing a workout routine for yourself, or you're an advanced student who wants to expand into new territory, a resource like Gaiam TV can give you the chance to change yourself for the better. Here and now, in the moment. Be good to yourself. Work out. Do yoga. And hey, while you're at it... try some Gaiam TV! Photos via Urban Yoga Girl and Pinterest. I just wanted to take a little moment to say THANK YOU for following the blog. I am continuously inspired, motivated and in awe of you, wonderful readers, and the way you've made this yoga community grow. It never ceases to amaze me how lovely you all are! I hope you'll stick around and continue on the yoga journey with me. Last week I posted about the lawsuit by Bikram against Yoga to the People and was pleasantly surprised to hear your comments on the controversy. I heard a resounding shout from readers to protect the integrity of the Bikram yoga 26 & 2 series... but it looks like that shout has not been held up in court. Regulators have announced that "yoga poses such as head-to-knee stretches and the sequences of the moves are 'exercises' rather than 'choreography' and can’t be copyrighted in the United States." The new U.S. Copyright Office decision does not acknowledge exercises (including yoga movements) as able to be protected choreography. I guess this means NYC yogis will be able to take their $8 hot yoga class after all. Reactions on Facebook got heated last week! Photos via LilieZenCoach and Urban Yoga Girl. I recently connected with Lexi from Lexi Yoga and was excited when she agreed to share a post about the potential yoga brings to all who practice. This guest post offers some lovely insight into what we gain by laying it all down on the mat -- beginners and advanced students alike. Enjoy! Yoga has the capacity of to condition and strengthen your body, mind and spirit. It also brings holistic growth to those who practice. There are no deadlines, no times to beat, no schedules to go after. You are able to work your development at your own pace. Photo via Blue Kite Photo. Because of the holistic development you get from this practice, a lot of people are drawn toward yoga. There are various yoga practices that you can choose from but ultimately, all of these practices still boil down to yoga’s primary goal which is to experience freedom. Freedom from just about anything you can think of that life can present you: from pain, from problems, from the difficulties you are feeling mentally and physically. It all begins with the conditioning of your mind that you are ready to thread the way of clean living, of life that is pointing to your holistic development as an individual capable of doing anything. Synergize your body with the various poses and the breathing techniques and you will find inner peace to focus on things. Learn the discipline that will free you from the vices that you have grown accustomed with and be enlightened to the path of holistic growth. The journey will progress to your body’s needs for exercise. As you are getting accustomed to the different poses and the breathing techniques required, you will get the conditioning you need to fully merge your mind and body. Let this experience take you to the next stage, which is the tapping of your spirit. As you are able to gain control over your body and mind, you will be able to connect with your spiritual well being. This will then open your path to the way of ultimate freedom; freedom from any distractions, from stress, vices and other bodily sufferings. Yoga doesn’t just stop with these three phases as it is a continuous journey of development. Just like the insatiable needs of us humans, yoga also goes on and on and you can still feed your body, mind and spirit by turning the negative things around you into something positive. Find your inner self by merging your body, mind and spirit. In this continuous action, you will see happiness and contentment even in the smallest things. With this newly found happiness you will learn how to accept others for what and who they are thus in the process you will not just cultivate inner peace but also peace within the confine of others. Yoga seeks the truth while developing you as a complete person. I love Lexi's reflections on the way yoga can help you free your mind to stop listening to the negative thoughts that come through, and all those crippling habits we set for ourselves. Thanks, Lexi, for sharing! Namaste. There are a few things I'll always love: the feeling of sand under my bare feet, the thrill of a long bike ride in the sun, a refreshing swim, a hike in the woods, and the relief of taking a long drink of water after a good workout. What can I say? I'm a green girl from California and a big fan of all things natural, organic, and clean. I believe beauty that is pure comes from what is unprocessed, whole, wild. That's why I was super excited to discover the Bamboo Bottle, a reusable water bottle unlike any other. It's more sleek and aesthetic than most drinking containers you'll find, and the best part is that it's made from materials that are clean and safe, too. You've got bamboo (for a stylish exterior, and formidable strength) and glass (for clean drinking at all temperatures). Yes, the top is plastic, but it's also BPA-free, dishwasher safe, and recyclable. The Bamboo Bottle is the perfect water bottle for all your active friends, whether they love yoga, biking, hiking, or they just want a secure way to transport liquids in the car! It's great for both cold and hot drinks (including tea!). My recommendation would be to go with the design that has a flip top for convenient use. Photos via The Bamboo Bottle Company. Go ahead, enjoy an all-natural portable drinking container experience: try the Bamboo Bottle! It also makes a lovely Christmas gift if you're still shopping for friends or family. Yesterday I posted about clothing gift ideas for your favorite yogis. Today, I bring you part 2 of Alive in the Fire's yogi holiday gift guide: gear, food and other yoga goods! Julie Rader's incredible CD of meditations (including yoga nidra). A copy of Stephen Cope's The Wisdom of Yoga or the classic Yoga Sutras of Patanjali. Deepak Chopra's new meditation video game for the Wii, Leela. A subscription to Gaiam TV, featuring hundreds of streaming yoga and meditation videos from all-star teachers like Rodney Yee, Deepak Chopra, Byron Katie, and Seane Corne. YogaEarth Purity coconut water + KeenWah bars for pre- and post-class rejuvenation. A lovely chakra water bottle. A handmade yoga pose stained glass piece from Etsy. The Yoga Journal 2012 Wall Calendar. A soothing candle holder or om candle for those relaxing candlelit classes. A playful snow yoga card. in your yogi friend's house or favorite studio. Need a little afternoon inspiration? Watch this incredible footage of the American southwest from the TimeScapes documentary. Wow! PS You can learn more about how they captured the time lapse images here. Above photo via 365 Days Yoga on Tumblr. Below photo via Yoga Dudes on Tumblr. Need some ideas for what to get your yogi friends this Christmas? I bring you part 1 of Alive in the Fire's yogi holiday gift guide: what to wear on the mat. A YMX wrap & Prana Mackenzie capri. The Lululemon Hot n Sweaty Bra, a tree pose sweatshirt, and a tank and pair of bumbum shorts from K. Deer Haute Yoga Wear. For the girls: a Lululemon pullover; for the guys: a Prana tee.